Do you know that there is a swimming pool and movie theatres (showing new movies for free!) inside Changi Airport? I am not surprised if you don’t. Despite flying off from Changi Airport to many destinations around the world, I have to admit like many other busy travellers, I tend to treat the airport as a transit point – check-in at airline counter, clear passport checkpoint, do a quick duty-free shopping and head straight to departure gate. Just before our flight to Bhutan last week, we had the opportunity for a quick tour around the airport transit areas with Changi Airport Social Media “guru” – Melvin. 🙂 We were amazed by the many hidden gems of this airport that we have been missing out all these years! If you are a fan of the flora and fauna, there are FIVE gardens in Changi Airport – Cactus Garden at Terminal 1, Sunflower Garden, Fern Garden and Orchid Garden at Terminal 2 and Butterfly Garden at Terminal 3. Changi Airport’s Butterfly Garden is just as great as Sentosa’s Butterfly Garden and Insect Kingdom and the best thing is it is FREE! For the nature photography enthusiast, this is the best place to get up close shots of these butterflies especially at the feeding stations where dozens of butterflies gather to feed on the sweet pineapple slices and flowers. 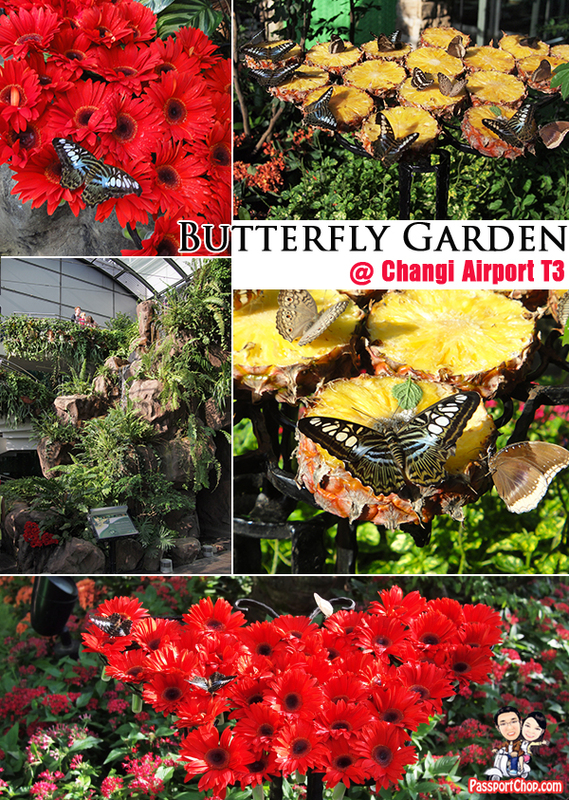 The butterfly garden is designed to be a tropical nature retreat for passengers of Changi Airport Terminal 3’s Departure and Transit Mall to have a quick rest and relax from travelling. It is home to more than 1,000 free flying singapore butterflies, and close to 50 butterfly species native to Singapore and Malaysia were specifically selected to be bred in the butterfly garden. The two-storey open-air enclosed garden is protected by a curved-shaped roof made out of high quality stainless steel mesh and unique glass windows, facing Changi Airport’s large airfield. It was designed in this manner to keep the butterflies in, maintaining exchange of wind and natural air which is vital to the survival of butterflies while maximising the butterflies’ flight activity. Visitors walking inside this enclosure can view and enjoy the beautiful scenery of a waterfall which keeps the garden cool even at noon, and traversing a garden on timber walkway, the feeling being close to nature with exotic jungle plants and an unimaginable sight of colourful butterflies. Really informative blog. Thanks for posting this information. Very true, these are hidden Gems on Changi Airport. 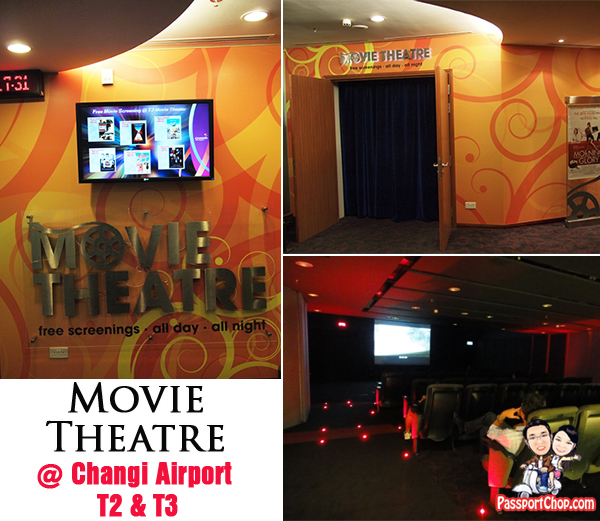 on my last visit I have 8 hrs stay on Changi Airport & it was so hard to pass the time. If I knew all this before then it won’t be a big deal. Exactly the facts we is in search of. Should really interrupt my expenses soon. Hello there! Fantastic things, perform let me know whenever you publish once again something similar to this! 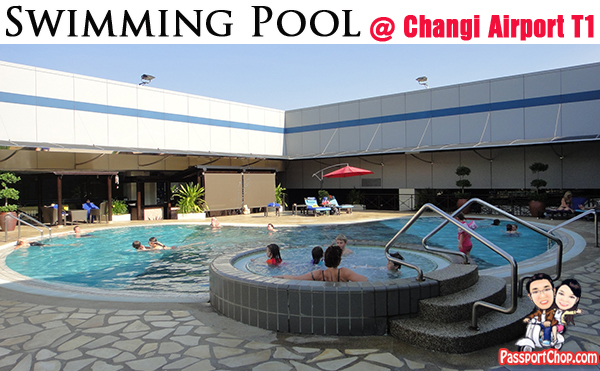 check out http://www.changirecommends.com for exclusive deals in singapore, under changi airport itself!